Who doesn’t love pizza? Because even if it’s bad, it’s still good, right? As far as food revelations go, I came to an important one in Florence during my recent trip to Italy. (On a side note, isn’t Italy the best country for food revelations? 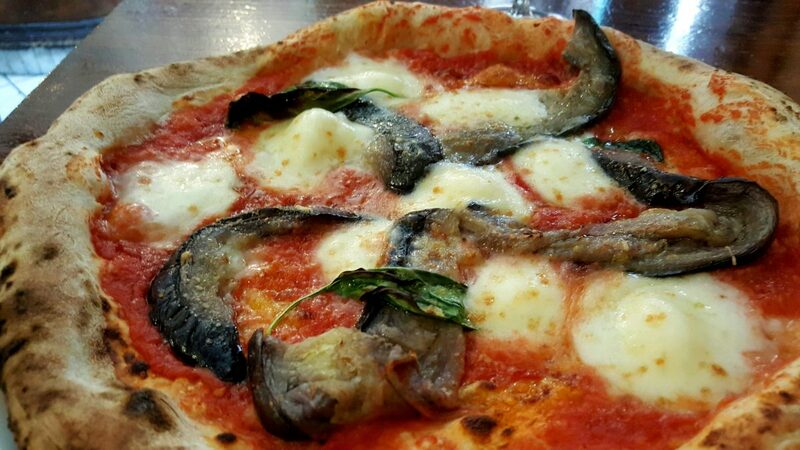 Anyway…) My favourite style of pizza is Neapolitan. I’ve always loved the Roman style with the thin and crispy crust, but I change my mind. Move over Rome, Naples won me over. 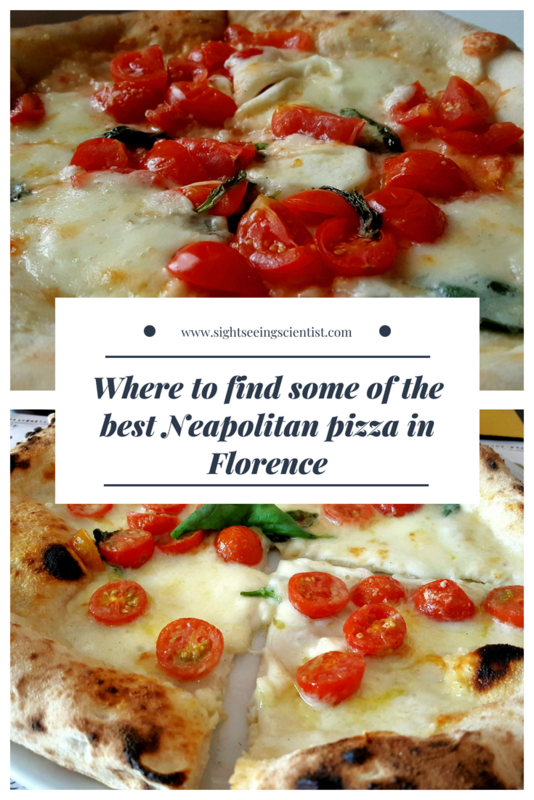 If you haven’t eaten Neapolitan style pizza before, it’s difficult to explain exactly what it is. But I’ll try my best. First things first, the crust isn’t thin and crispy. Instead, it’s a little bit thicker and soft and fluffy. That probably doesn’t sound very appetising, but believe me, it’s delicious. 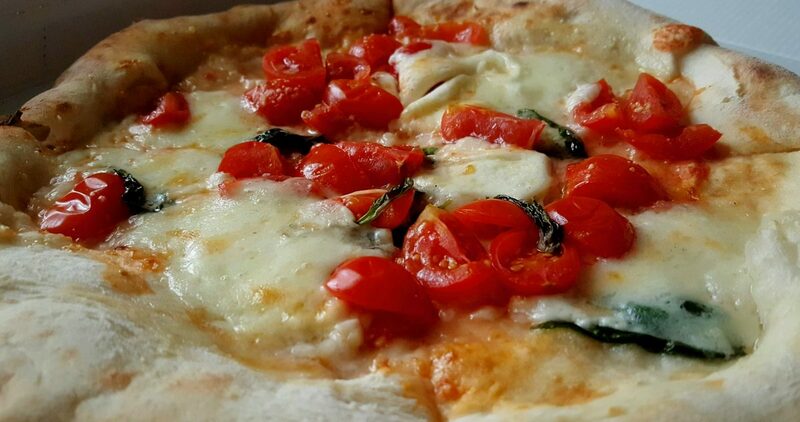 The pizza is baked for a maximum of 90 seconds, resulting in a thick, puffy outer crust. Also, the simple toppings are pure perfection. 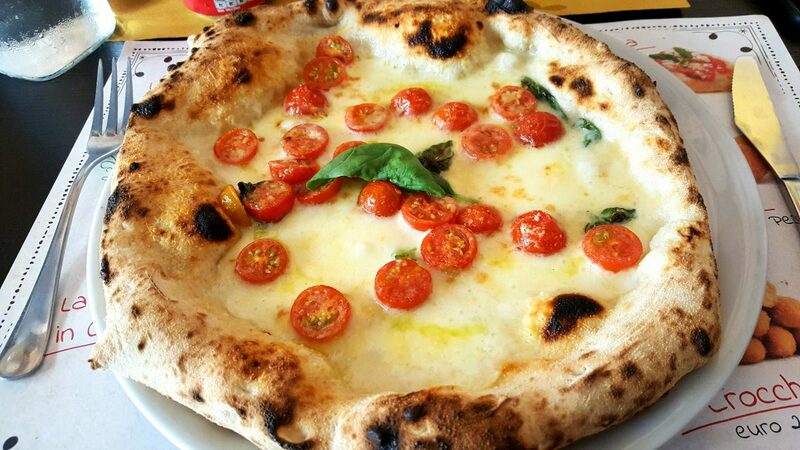 Here are three of the best Neapolitan pizzerias in Florence. 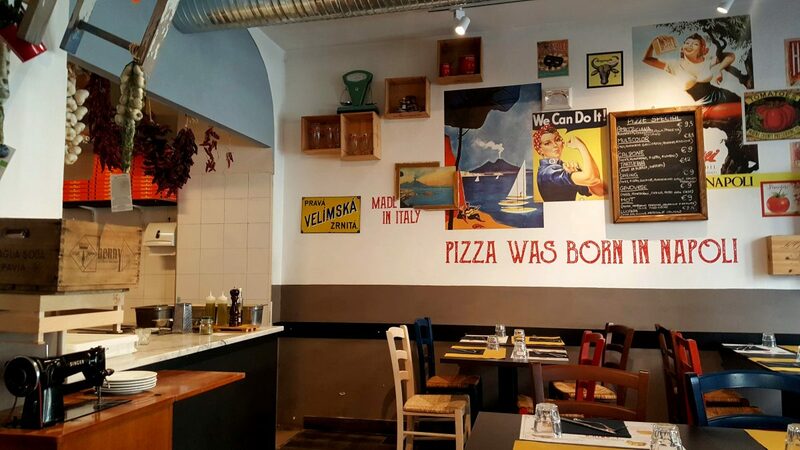 If you were to Google ‘best pizza in Florence’, one of the first places that pop up in the search results is Gusta Pizza. It’s a short 6-minute stroll from the Ponte Vecchio. They only serve pizza (seven options on the menu to be precise) and prices start from only €5 for a Marinara. The pizzeria was very crowded so I ordered my pizza to go, walked back to my Airbnb and enjoyed it there. It was great, only on the smaller side though, so don’t share. It was really good and thinking about it has my mouth salivating. Which one did I order? The Caprese for only €8. This quaint little restaurant was packed, even for lunch! But oh, the pizza is to die for. I ordered the Parmigiana for €8.50. Everything about this pizza was a win for me. 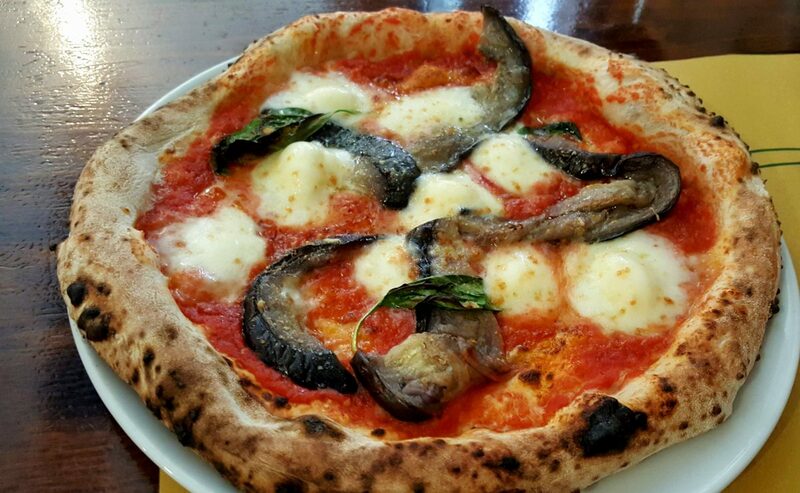 I’m a fan of eggplant, especially fried and on a pizza with Parmesan and Basil. 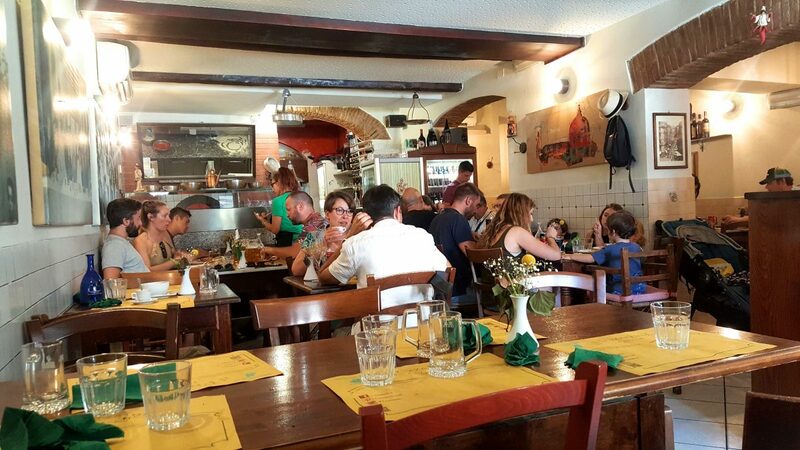 This is one of the things that amazes me about Italian pizzerias, you never wait too long. I waited maybe 5 minutes for my order, and as I said above, the restaurant was packed. The pizza tasted as amazing as it looked. It was big enough to share, but I wasn’t sharing! 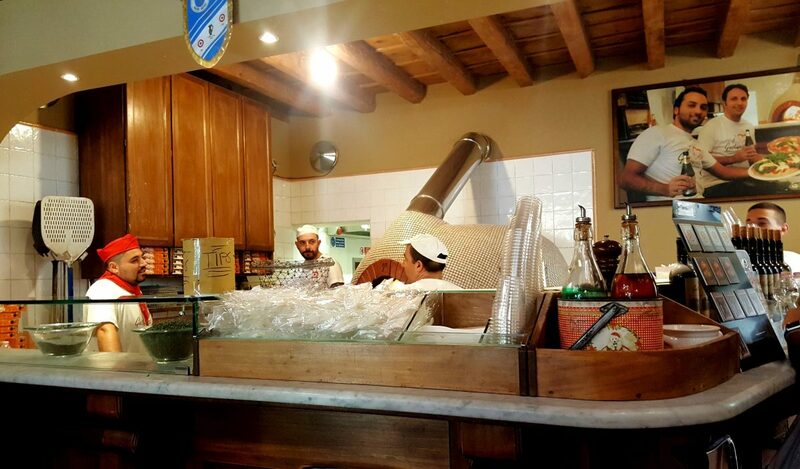 Believe it or not, the best pizza I had in Florence was the Positano pizza from PizzaMan. I’ll be the first to say that I don’t like the name of this restaurant. Not at all. The name is just so generic and it sounds like a fast food joint. Had I not read up about it online, I would have walked straight past this restaurant. 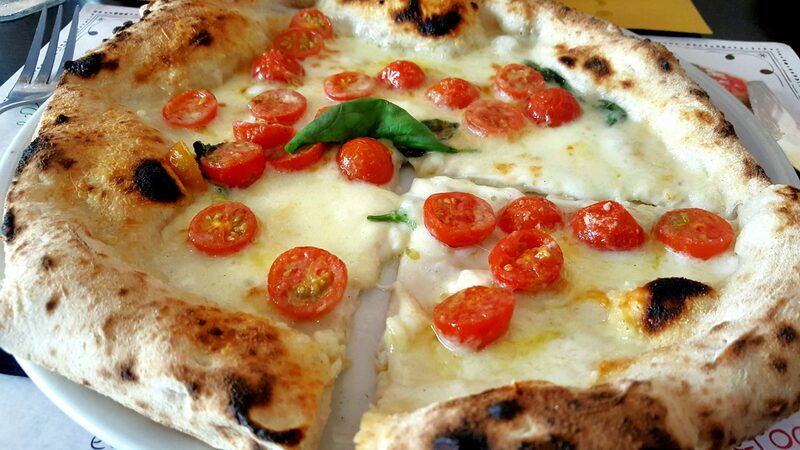 Anyway, back to the Positano pizza…It was only €7, big enough to share (or not) and totally yummy! I’m a huge fan of smoked cheese. And the crust and the other toppings were terrific. Simple with great flavours. Just go and eat a pizza at PizzaMan, okay! It became so popular that a couple more restaurants opened up across Florence. 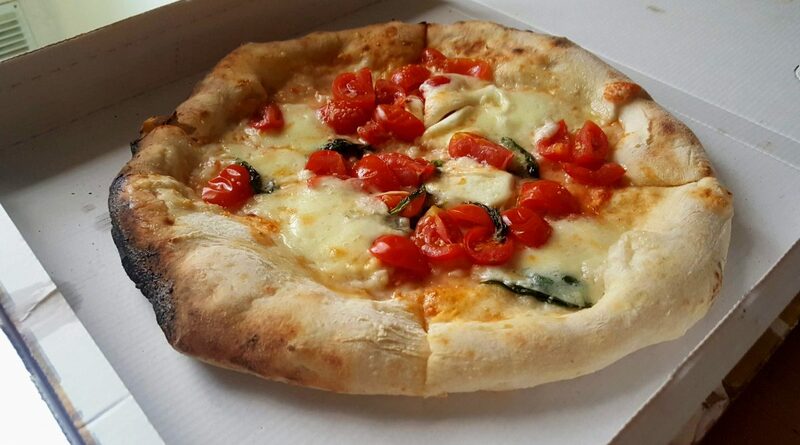 Pro Tip: Go grab a pizza for lunch because that way you avoid the looong dinner queues (especially at il Pizzaiuolo). That’s what I did!